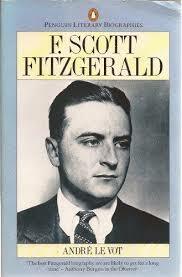 Scott Fitzgerald research papers tell of his biography and how he came to write The Great Gatsby. F. Scott Fitzgerald research papers begin by stating that Francis Scott Key Fitzgerald was born September 24, 1896 in St. Paul, Minnesota. His mother, Mollie McQuillan was the daughter of an Irish immigrant who made quite a fortune in the wholesale business. His father, Edward, was from an old Maryland family with ties to the Old South and not a lot of ambition. The family business failed in the late 1800s, so Edward moved his family to New York. Ten years later he was dismissed from Procter and Gamble in New York and moved back to St. Paul. F. Scott Fitzgerald, named for his great, great, great grandfather’s brother, Francis Scott Key, was a precocious child. Like his father, he was always looking for the short cuts around hard work. He enjoyed a pampered childhood, albeit somewhat unstable, due to moving about according to his father’s work. His school grades were lacking, so his parents chose to send him East to a boarding school. He enrolled in the Newman School, a Catholic prep school in Hackensack, New Jersey. Here he would have two years to prepare himself for a prestigious Ivy League School. F. Scott Fitzgerald chose Princeton as his college of choice. Unfortunately Princeton was not as enamored with him. He often ignored his school work in favor of reading and writing, consequently he failed his entrance exams to get into Princeton. Not to be dismayed, he charmed the Admissions Committee into accepting him. In college, he wrote for a few small magazines and was a member of the very distinguished Triangle Club. He eventually landed on academic probation so he chose enlisting in the army over graduating from Princeton. In the summer of 1918, he was stationed in Alabama at Camp Sheridan. There he met Eighteen year old Zelda Sayre, the daughter of an Alabama Supreme Court Judge. He fell in love and asked her to marry him, but she refused because of his lack of ambition and fortune. If he had any ambition, it was inherited from his Grandfather McQuillan, and if he wanted something badly enough, he would work very hard to achieve it. He was determined to be famous so he went to New York to work on his writing. F. Scott Fitzgerald was considered to be the best at capturing the setting of the 1920s. His novel The Great Gatsby, was historically complete if not a personal account of his own life. The publication of This Side of Paradise, made him instantly famous. It also succeeded in changing Zelda’s mind, and on Aril 20, 1920, they were married. They bore one child, a girl named Frances Scott but were unable to maintain a home for her. She went to boarding school and used family friends as surrogate parents. The Fitzgeralds lived the high life. They traveled extensively abroad and were heavy drinkers in a tremendous social era. They were prone to bouts of heavy drinking and domestic rages. Zelda ultimately gave in to mental incapacities and had to be institutionalized. Fitzgerald continually tried to obtain the stature acquired from his writing of The Great Gatsby until the end, but it persisted in alluding him. In 1940, his life of extravagance finally caught up with him and he succumbed to a heart attack at age 44. "The Diamond as Big as the Ritz"
F. Scott Fitzgerald and Ernest Hemingway - F. Scott Fitzgerald and Ernest Hemingway research paper delves into not only the comparison of these two authors but two pieces of work specifically done by each author which includes Snows of Kilimanjaro and Babylon Revisited. The Rich Boy - The Rich Boy Research Paper looks at a novel by F. Scott Fitzgerald that focuses on the social construction of the rich versus the poor. Character Analysis of Nick Carraway - Nick Carraway is the perfect narrator for The Great Gatsby because he has close connections with people living in the realm of all-consuming wealth, but he is not a member of that society. Tender is the Night - Tender is the Night Research Papers go into a book by F. Scott Fitzgerald about the social atmosphere of the 1920's. The Great Gatsby Summary - Essays on a Great Gatsby Summary examine F. Scott Fitzgerald’s jazz age classic story about Nick Carraway who rents a house on Long Island next to a magnificent mansion owned by Jay Gatsby. American Dream and The Great Gatsby - American Dream and Gatsby research papers account the classic novel The Great Gatsby by Fitzgerald. Themes in The Great Gatsby - The Great Gatsby by F. Scott Fitzgerald has several themes, all of which revolve around the American Dream and the creation of the New Rich in America. Social Class in American Literature - Social Class in American Literature research papers are custom written on Huck Finn, Gatsby and Invisible Man to name just a few. A Clean, Well-Lighted Place - A Clean, Well-Lighted Place, by Ernest Hemingway, concentrates on the desperation of growing old alone and the fight to survive each day with dignity. The Great Gatsby and Death of a Salesman - The Great Gatsby and Death of a Salesman research papers delve into works of literature in relation to the American Dream. Roaring Twenties - One of the most concise depictions of the Roaring Twenties is F. Scott Fitzgerald's 1925 masterpiece, The Great Gatsby. Character Analysis of Jay Gatsby - Fitzgerald does not introduce Jay Gatsby, his novel's title character, to the audience until the third chapter of the book. The Old Man and the Sea Summary - Essays on a The Old Man and the Sea Summary examine Ernest Hemingway’s story about Santiago, an old Cuban fisherman and his epic fight against a giant marlin far out at sea. The Old Man and the Sea Research Papers compare the novel to The Sun Also Rises, it focuses on the themes of both. The Old Man and the Sea Analysis - An analysis on The Old Man and the Sea look into how Ernest Hemingway focuses on the key issue that there is honor found in struggling toward a goal, even if one does not succeed. Paper Masters writes custom research papers on Scott Fitzgerald and tell of his biography and how he came to write The Great Gatsby.